Real Estate — It is time to get yourself your own home in Uganda. Aqeeq (U) Ltd. was established to deliver the best value for money in the housing sector. Our dream is to give every Ugandan the opportunity to own their home. Ugandans coming back from the West or Ugandans who wants a better standard of living can have their dream home at Waves Affordable Housing Project developed by Aqeeq (U) Ltd. Increasingly, Uganda is seen a compelling business destination by many who explore the vast open spaces, friendly citizens and myriad of towns that comprise this broad-spread and varied region. 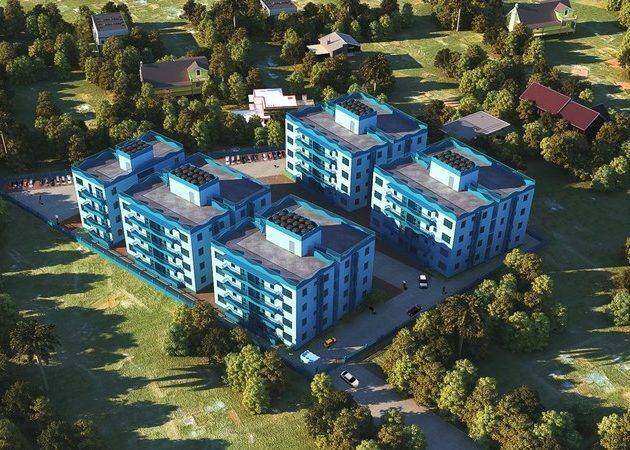 Waves Affordable Housing Project is an independent project that primarily aims to serve modern Ugandans who want all amenities and features in a condominium society at affordable price and value for money. Our aim is to be a one stop shop for a person who needs and dreams to have in their home. The return on investment in real estate in Kampala is well known. Diaspora Ugandans can now enjoy their own apartments with all the necessities when they visit their homeland during the holidays or wish to retire and return back to Kampala to enjoy their Matoke and Luwombo freshly made in their homes. Overlooking the lush landscape of Kungu, Najjera II just 400 meters from Vine International Christian Academy. Well-planned apartments with self-contained bedrooms, kitchen, living/dining room and balcony. Condominium Mailo Ownership Title Deed i.e. you own the land and apartment lifetime passed from one generation to next. Individual water tanks and parking. Kids play area and security at the entrance. TV connection wire and internet hotspot. Are the apartments only for the diasporas or any person who can afford? otherwise this is the best option for us .and how many kilometres is it from kampala?